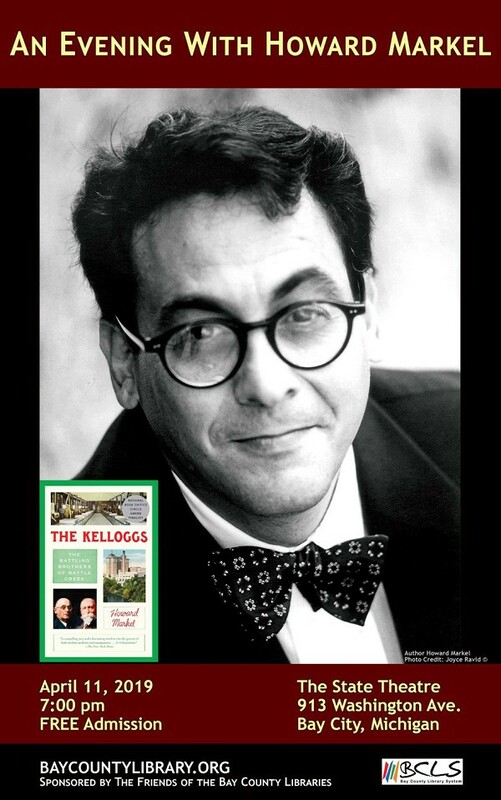 The Friends of the Bay County Libraries are pleased to present an incredible evening with Dr. Howard Markel, who will present his latest book, "The Kelloggs: The Battling Brothers of Battle Creek", at The State Theatre of Bay City on Thursday, April 11 at 7:00 pm. The event is FREE and open to the public. "The Kelloggs: The Battling Brothers of Battle Creek" paints an incredible picture of more than just the cereal brand most people connect to the name. This exceptionally written slice of American history weaves the tale of two brothers with competing ideologies. Racism, Nazi eugenics, sanitariums, industry, humanity, generosity, (and yes, CORN FLAKES) make for a fascinating story that is wildly popular with book clubs, those who enjoy a good story about Michigan entrepreneurs, and history buffs of all types. 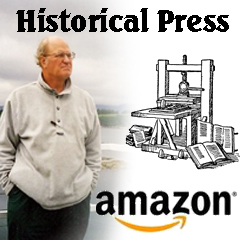 A semi-finalist for the PEN America Literary Prize in Biography, it was named Best Book of the Month (History, August 2017) by Amazon Books, Best Book of the Summer, 2017 by Newsday, Best Nonfiction Book (Biography) of the Year, 2017 by Kirkus Review, and Best Nonfiction Book of the Year, 2017 by The Boston Globe. "The Kelloggs..." was also chosen by the State of Michigan Department of Education and the Library of Michigan as the Michigan Notable Book for 2018. Howard Markel, M.D., Ph.D., is the George E. Wantz Distinguished Professor of the History of Medicine, Director of the Center for the History of Medicine at the University of Michigan. A prolific author, Dr. Markel has written several other books and his articles have appeared in The New York Times, The Journal of the American Medical Association, and The New England Journal of Medicine. Fans of NPR and Michigan Radio may recognize Dr. Markel, who has been a guest expert on both stations. Markel is a member of the National Academy of Medicine and lives in Ann Arbor, Michigan. Copies of "The Kelloggs..." are available at BCLS branches and through the OverDrive app on the library website at www.baycountylibrary.org. Read more about all of Dr. Markel's projects at www.howardmarkel.com.